"Then, all the symbols went into my head and the masculine being told me that these symbols contained all the knowledge of the universe and at some point in the future they would release the understanding of these symbols or, if the time were right, my higher self would activate the understanding. I then felt myself drawing back out of the Light and the Light Beings withdrew from my body. They went back through the funnel followed by the numbers, symbols, letters and finally the stars. The funnel disappeared and I found myself alone. My whole body was tingling and my head was buzzing. I lay still for about 30 minutes until the effects died down somewhat. I looked at the clock; it was 3.40 a.m. I sat up and made some notes. Throughout the whole of the following day I could still feel this energy in my body along with the tingling, electrical effect." We gave Mike an A4, spiral-bound notepad and a biro. The biro was a mistake; we had intended to give him a felt pen. He was lying almost flat in a recliner chair and propped the book on his stomach, holding it upright with his left hand with the biro in his right hand. The biro was thus almost perpendicular and we were worried it would run dry, held at that angle. He began to draw neat rows of symbols, slowly and carefully, feeling along each line with his fingertips, still under hypnosis with his eyes closed, and then moving down to the next line. As you will see from the images reproduced in this book, no line overlapped or was very crooked. Where they curved it seemed to be deliberate. When he drew the globe and symbols on Fig 9, (in the book); he drew the globe first, felt with his fingers and went back to the top of the page and drew the symbols, then he went back and drew the bent arrow, then the lines radiating out around the globe and lastly the symbol on the circumference of the globe. All with eyes closed. He drew for over an hour; at times commenting on what he was drawing, at times very moved by the meaning of the symbols. It was very apparent to both of us watching that other presences were in the room and that he was being guided; that the symbols previously given to his deep subconscious were being released. I would like to say that I understand the suspicions and skepticism regarding hypnotic regression and had more than a few doubts and fears myself until I sat through a few sessions and saw how it worked. I also felt the presence of the Light Beings - quite beyond my own frame of reference and again, no evidence for this, but it certainly was not imagination. I did not see them (I gather that if something is vibrating at a different frequency we can not see it - this applies to many things we accept, such as radio waves, microwaves, etc. We don't see them but we see, hear or feel their effects) but I did feel the energy change in the room, quite dramatically, saw the candle flame suddenly widen and shoot up in the air and heard and saw the change in Mike once they arrived. His voice became more authoritative and it was obvious he was 'listening' and then relaying answers to our questions, rather than 'looking internally' and describing what he saw when talking about events he was exploring under regression. I think David and I were both glad the other was there during those sessions (originally it was just intended to be David and Mike) because we could each corroborate what the other saw and felt. D: Can you tell us please…. tell us in your own words what these represent. Pause while Mike continues to write. F: And this will affect our consciousness? Note: Scientists decoding the human DNA molecule discovered it had its own language of 3 billion genetic letters. According to molecular biologist, Michael Denton, the storage capacity of DNA is such that a teaspoon of DNA could contain all the information needed to build all the organisms that have ever lived on earth. Such sophisticated databanks could not be the result of a process of evolution but would need intelligent design. 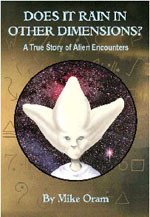 In her book The Convoluted Universe, Book 1, Dolores Cannon tells of a client who also received symbols in a similar way to Mike. Under hypnotic regression ‘J’ says that the information is coming into her ‘everywhere’ and that she ‘feels like a sponge’. If this information goes directly into the DNA, then it would be ‘everywhere’. F: How do we access it?If we don’t understand how to access it, how can we access it? M: Because we have to be at peace with our self inside. F: So – quietness and balance would activate it? M: It would be a start. D: Would there be a name of a person on the Earth plane who can help us with this? D: Could you ask when the permission will be…. F: They’re doing that now, aren’t they? Going to find out? F: I don’t understand. I mean, I understand the words but I don’t understand how. Is there any way they can help? F: But how do we find that – how do we tap into…..
M: ….. By going within and reflecting on it. The symbols are available as a pack of 6 meditation cards. Buy Here. Click here to listen to a clip of Ross Hemsworth, talking about Mike's symbols on his 'Now That's Weird' Radio Show. He mentions how they match those seen on alien craft.